Lily Moore, a successful travel writer, fled to Spain to get away from her troubled, drug-addicted younger sister, Claudia. But when Claudia is found dead in a bathtub on the anniversary of their mother’s suicide, Lily must return to New York to deal with the aftermath. The situation shifts from tragic to baffling when the body at the morgue turns out to be a stranger’s. The dead woman had been using Claudia’s identity for months. The real Claudia had vanished, reappearing briefly on the day her impostor died. As Claudia transforms from victim to suspect in the eyes of the police, Lily becomes determined to find her before they do. Is Claudia actually missing, or is she playing an elaborate con game? And who’s responsible for the body that was found in the bathtub? An obsessive ex-lover? An emotionally disturbed young man with a rich and powerful father? Or Lily’s own former fiancé, who turns out to be more deeply involved with Claudia than he admits? As Lily searches for answers, a shadowy figure stalks her and the danger to her grows. Determined to learn the truth at any cost, she is unprepared for the terrible toll it will take on her and those she loves. 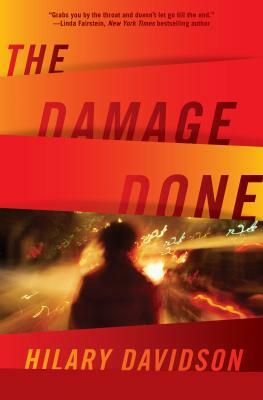 Hilary Davidson won the Anthony Award for Best First Novel for "The Damage Done." That book also earned a Crimespree Award and was a finalist for the Arthur Ellis and Macavity awards. Hilary's widely acclaimed short stories have been featured in publications from "Ellery Queen" to "Thuglit, " and in many anthologies. A Toronto-born travel journalist and the author of eighteen nonfiction books, she has lived in New York City since October 2001.